Find free classifieds for Industrial Machinery for sale or to buy in Gujarat. FREEADS in India offers you a platform to post free advertisements or classifieds for Industrial Machinery, Gujarat. FREEADS in India helps you search, find, buy, sell, rent or hire in various categories like apartments, goods for sale, local services, cars , jobs and many more in Gujarat. Shown below are ads available in Industrial Machinery, Gujarat. You can use search box above to refine your search. We are the manufacturer and supplier of Instrumentation & Automation, Mep Tools & Machineries, Passive Networking Components at Ahmedabad, India..
Certified Car Air Purifiers in Gujarat. Our Car Air cleaner utilizes Air Concept’s HEPA filtration technology which keeps travelers fresh & vitalized. 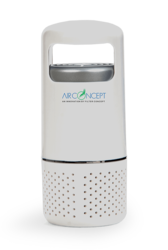 https://www.airconcept.co.in/product-category/car-purifier/. 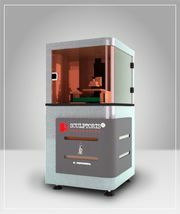 Sculptoris Innovation is dealing into 3d Printers in Delhi, Mumbai, Rajkot, Kolkata, Jaipur and Surat. Currently we have so many offers on Resin, Tray and 3d services on the behalf of Diwali and Dashahara. You can explore our India Best 3D Services from here www.sculptoris.in and www.sistore.in . Our Maine Services are – •	BEST 3D JEWELLERY PRINTER •	Online Resin for 3d •	Online Tray for 3d •	3D Services or Job Work Contact Details – •	Mr Vivek Sojitra •	Customer Care No: - 9574743570 / 9081982211 •	care@sculptoris. Raj Filters is having a big name in manufacturing SS Wires Mesh and also we supply in many parts in India. We manufacture wire mesh in uniformity of the entire roll with the best quality and 100% guaranted, We also care the most for our clients requirement to provide them perfect wire mesh weaving , guage , mesh and the grade beside this we manufacture wire mesh in roll of different width and lengths. RajFilters is a top mosquito screen and wire mesh manufacturing company in India. The company traces its origin to year 2001, with 15+ years of experience in the field of weaving wire meshes and one of the no. 1 insect screen manufacturers. We procure our wires from genuine suppliers, who understand our requirement and cater to it. We, Om engineering works is a leading manufacturer of mini oil mill machinery from Gujarat. we have four models with different capacities. 1) Model 18X3.5 2) Model 22X4 3) Model 24X4 4) Model 27X5 For more details kindly contact us on: Mobile : +918866030560 website : https://omengworks. 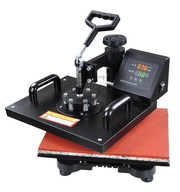 We Are Rubber Rolls, Manufacturer of Rubber Roller with quality thickness, Printing Rubber Roller, Industrial Rubber Rollers for different industry. Rubber Roller with different types for various Industries. Brush Rollers, Super Hard Rubber Rollers, Inflatable Rubber Tube, Nip Roll, Pinch Rollers, Printing Rollers, Impression Rollers, Silicon Rollers, EPDM Rubber Roller. Rubber Roller Manufacturer India, we deal in various Rubber Rollers like Ebonite Rubber Roller, Neoprene Rubber, Synthetic Rubber Rollers, Nip Roll, EPDM Rubber Roll Supplier and Exporter for the packaging, converting, textile, plastic, paper and printing or lamination industries. We make Rubber Roller up to 300 mm diameter and up to 500 mm length. Based in Ahmedabad - Filter Concept Pvt. Ltd is one of the leading manufacturer and exporter of Industrial filters. We provide Filtration Solutions to the various industries for the demanding application of air, gas and liquid filtration. Our product range includes various industrial filters and filter equipment such as cartridge filter housing, bag filter housing, basket filter housing, self cleaning filters, filter cartridges, filter bags etc. We Ultra Febtech - An ISO 9001:2008 Certified Company Engaged in Manufacturing of Ultrafine Pulverizer to Guar flour, tamarind kernel powder and their derivatives. Cellulose and starch derivatives, to grind pulses and cereals, chemicals, feed and minerals..A unique equipment to handle the mass that is most difficult to grind. The multivision studios supplies Digital Flat Heating Pad machine for sublimation at wholesale prize in surat. This machine is use for tshirt printing, plate sublimation, ceramic tiles printing and many other products..
We are pleased to propose you our new product “Dust Collector”. 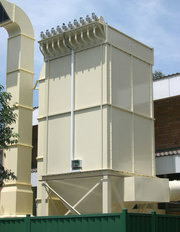 As we are one of the India’s leading Dust Collector Manufacturer. We are offering you the portability and uniquely designed dust collectors which is firmly very well known for collecting the high dust efficiency. We Ultra Febtech Pvt. Ltd. introduce Ultra Grinding Mill system - UGM mill system which is used to grind chana dal to make besan which is widly used in food industries. The Ultra Grinding mill is screen less. 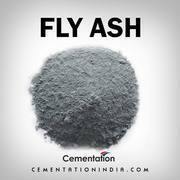 The system consists classifier where the fine particles of desired size are segregated. UGM mill working on Air friction base with a fan provided which cooled the material. 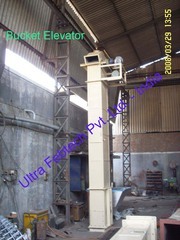 We Ultra Febtech - An ISO 9001:2008 Certified Company Engaged in Manufacturing of Bucket Elevator use to Material handling equipment .A bucket elevator, also called a grain leg, is a mechanism for hauling flowable bulk materials vertically. It consists of: 1. Buckets to contain the material; 2. We Ultra Febtech - An ISO 9001:2008 Certified Company Engaged in Manufacturing of Continuous Mixer use toChemical, Minerals, Fertilizers, cement, Guar Gum / Starch / Cellulose etc.This continuous mixer is use for solid-solid and solid-liquid mixing for medium to large production on continuous basis. This mixer has a single or double shaft with adjustable mixing paddles. We Ultra Febtech - An ISO 9001:2008 Certified Company Engaged in Manufacturing of Ultrafine Pulverizer to Grinding Machinery.A unique equipment to handle the mass that is most difficult to grind. It gives the desired fineness with a very high capacity and that too at lower power consumption. No special feeding systems such as screw conveyor or rotating valve is required. Salvex Listing ID: 182972324 Item Details: This lot of Bending Machine is no longer needed for the company's operation and is being sold as an asset liquidation for its owner. Details are listed below: Manufacture : Electropneumatics (I) Pvt. Ltd. Model : 400CNC3X Dimensions : Length : 17000 mm, Width : 3200 mm, Height : 4100 mm Max. Sujal Engineering are manufacturer and exporter of self priming pump in India, mechanical seals manufacturer Ahmedabad, pp pumps, pumps spares India, industrial process pump, starch industries pump, Ahmedabad, India. Application : Effluent treatment, Sewage Plants, Dyes and Intermediate Industries De-watering Docks, Ports, Vessels, Swamps, Basements, Trenches, Construction Sites, Swimming Pools etc. kig4084Gujarat business directory providing a comprehensive database of Sai Generator works Used Generator Manufacturers Exporters Suppliers Wholesalers & Distributors. Gujarat and all world Buyers can find the catalogs of Used Generator manufacturers exporters also post your Requirement to Sellers. Find Used Generator for Buy Sell at Sai Generator works. India ads for Industrial Machinery, Gujarat, Industrial Machinery free ads Gujarat, Industrial Machinery for sale Gujarat, Industrial Machinery to buy in Gujarat. This page is a classified ads listing for Industrial Machinery Gujarat. This listing includes classifieds for sale and to buy in Gujarat. If you posted an advertisement on Industrial Machinery, Gujarat before please use Edit my ads button to change or cancel your ad. Industrial Machinery Gujarat ads Gujarat, Industrial Machinery classifieds Gujarat, Industrial Machinery free ads Gujarat, ads for sale Gujarat, ads to buy Gujarat, FREEADS in India. Find here ads for sale, to buy and rent in Gujarat. Goods for sale in Gujarat, vehicles for sale in Gujarat, Gujarat real estate for sale, Gujarat property for sale, property for rent in Gujarat, business ads in Gujarat, Gujarat business classifieds, services in Gujarat, Gujarat services ads, jobs in Gujarat, pets for sale in Gujarat, Gujarat dating, Gujarat cars for sale.